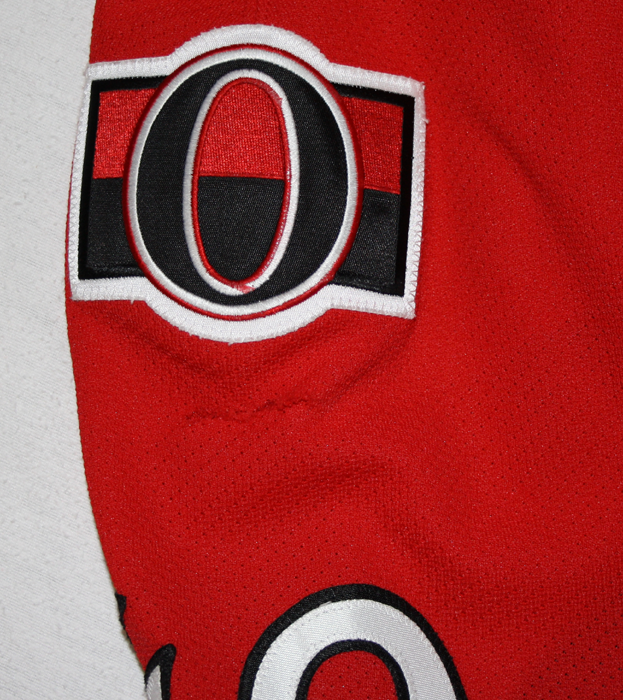 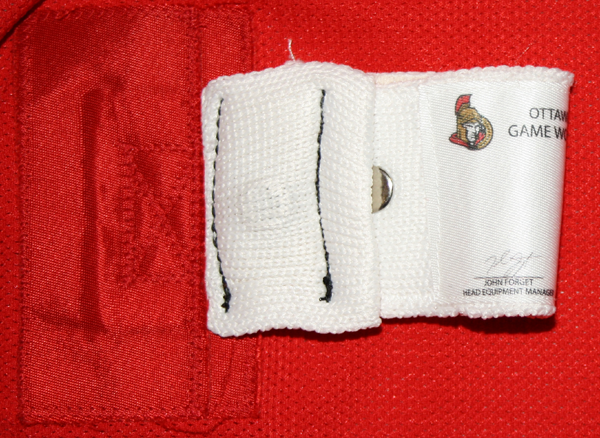 This jersey was worn by Fredrik Claesson of the Ottawa Senators during the 2015-16 season. 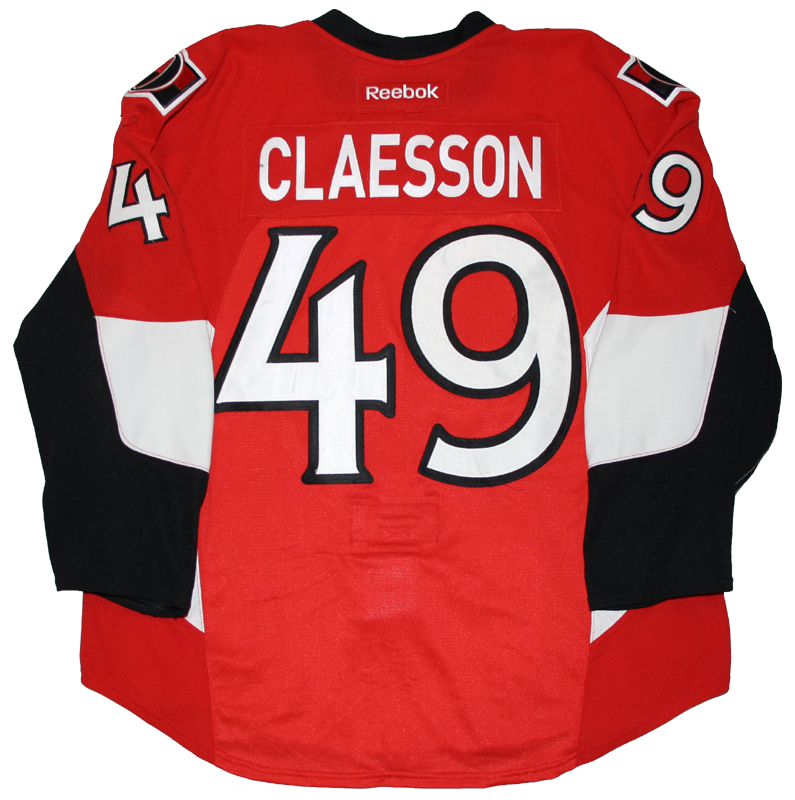 Claesson wore this jersey in his first NHL game on December 30, 2015 against New Jersey. 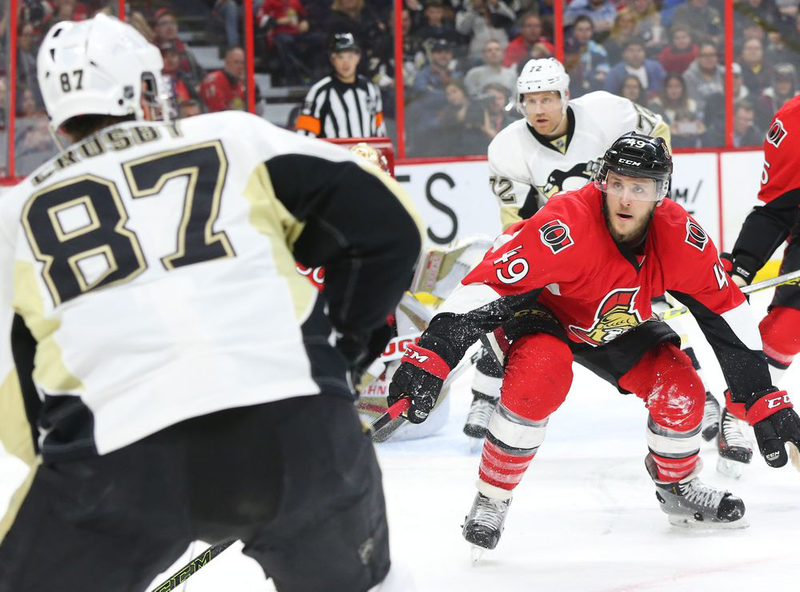 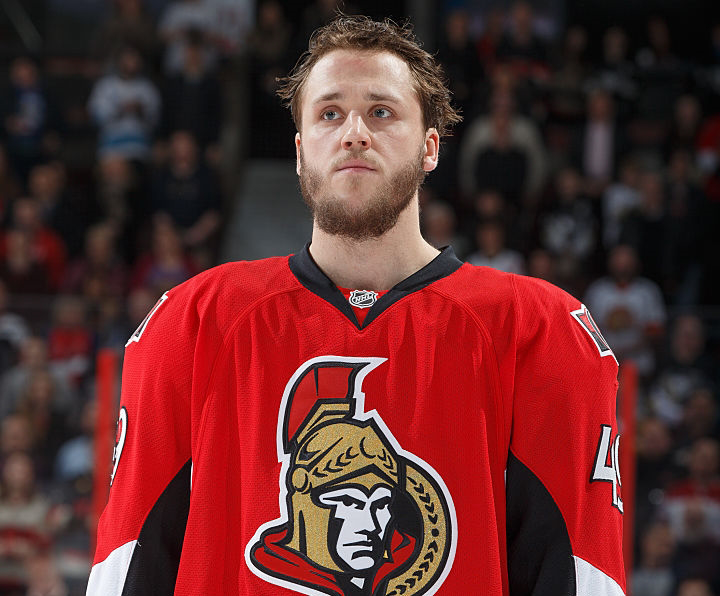 Claesson was also wearing this jersey on April 5, 2016 against Pittsburgh when he recorded his first NHL point, an assist. 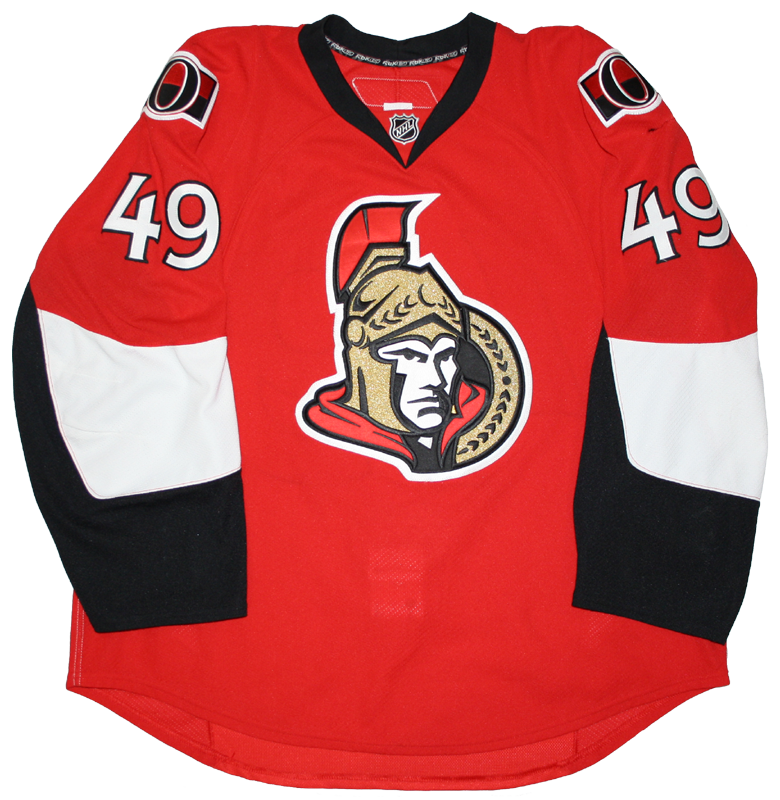 This jersey was also likely worn by Francis Lessard at some point due to the modified fight strap which Claesson does not typically have in his jerseys.